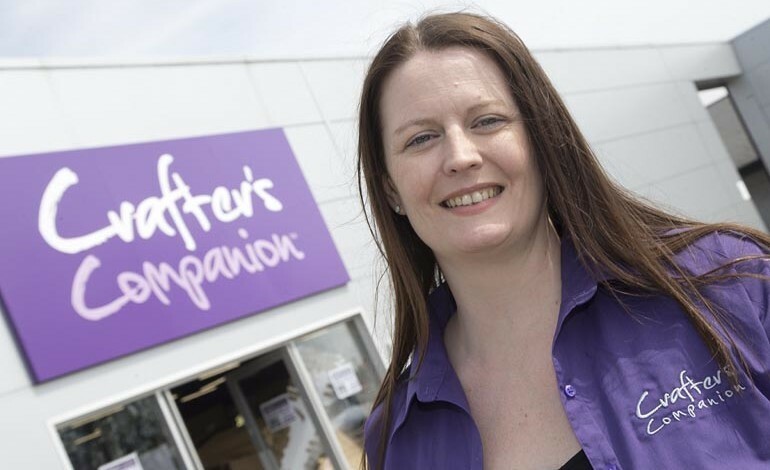 International craft supplies company Crafter’s Companion has strengthened its UK team with the appointment of a new store manager who will head up the operations at its soon to launch flagship store in Newton Aycliffe. Deborah Anne Mason, 38, who is originally from Newcastle, will be taking on the role when the company’s first UK store opens at Newton Aycliffe on Saturday 28th May. With over 20 years’ experience in retail management, Deborah, who graduated from the University of Sunderland, has previously worked in management roles at big brands including Accessorise, Brantano, O2 and John Lewis. The new store manager is hoping to use her previous experience to support Crafter’s Companion throughout its ongoing retail expansion plans. “I’m absolutely thrilled to join the Crafter’s Companion family,” said Deborah. “It’s great to become part of a company that is not only incredibly driven but also so passionate about its products. The new store, located next to the company’s new corporate headquarters at Aycliffe Industrial Park, is the result of a £500k investment by Crafter’s Companion and will give visitors the chance to interact with the brand and learn more about craft. Sara Davies, founder of Crafter’s Companion said: “We’re delighted to have Deborah on board as part of the team at the new store. This is our flagship store so it was important to us to find the right person for the job. “The store opening is getting closer and closer. We’re so excited for our customers to see the new store and take advantage of workshops that will be led by some really talented crafters. Along with several themed shopping areas, the new store will also house a coffee shop, two dedicated demonstration areas and a central hub for workshops. Crafter’s Companion, which was founded by Sara in 2005, specialises in manufacturing and distributing crafting tools and products, which are currently sold online via its website, on TV shopping channels across the world and by independent retailers. For more information, please visit www.crafterscompanion.co.uk.